On March 22nd 2012, Vancouver Fashion Week presented fashion design students Byron Abad, Autumn Egeskov, Eunmi Kim, Jun Kim, and Nur Kurban, from LaSalle College International Vancouver. All the students' hard work was showcased through their collections, which opened the second day of Vancouver Fashion Week. The biggest industry players (top designers, buyers, editors, and other industry professionals) were able to mingle and network with the fashion design students and view their amazing collections on the runway. For my jewelry history class back in 1st semester, I have taken the opportunity to collaborate with Jun Young Kim and his wonderful collections. 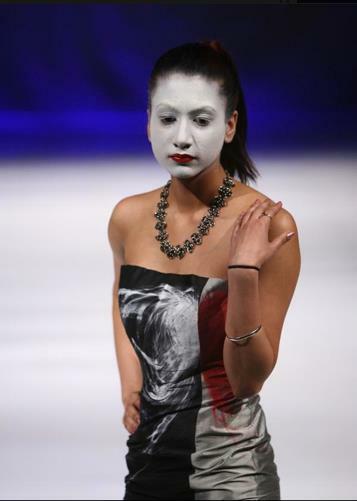 The main inspiration behind his 8 piece collection was the dichotomy of "Good & Evil" in the human mind. I'm a very independent individual so I was a tad nervous to work with another designer. All around, it was a very exciting experience. I look forward to working with other designers from all around the globe, looking at each and every one of their unique style in fashion and at the same time, working towards their needs in fashion accessories. Statement Necklace: Multi-strand with Gunmetal/Silver chainmail and black faceted beads. 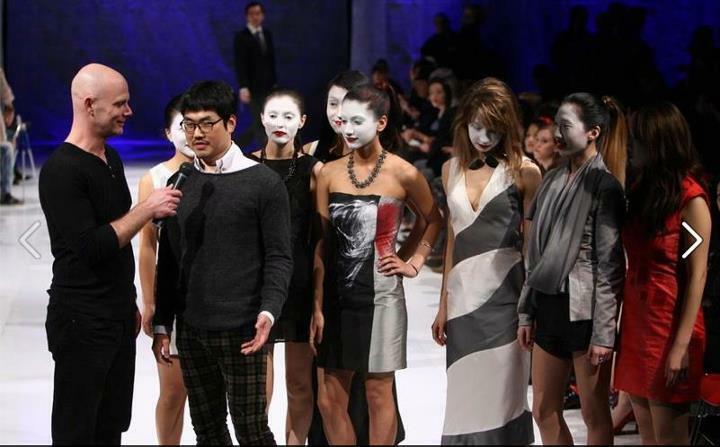 Jun Young Kim and his models on stage at Vancouver Fashion Week.